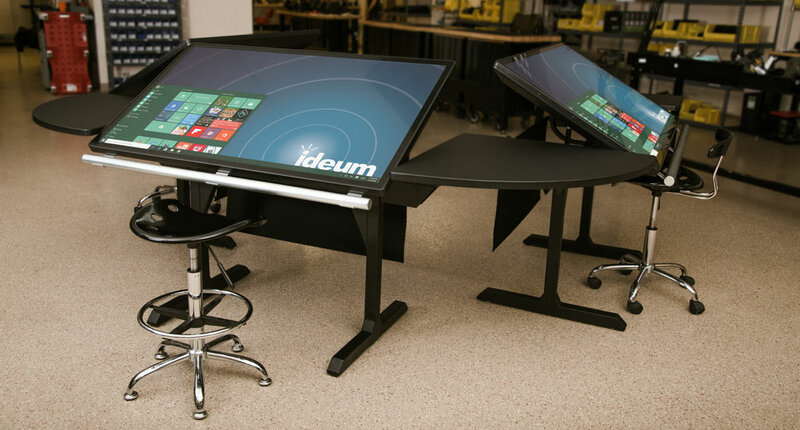 Ideum was tasked with creating a futuristic command center complete with custom software and hardware. 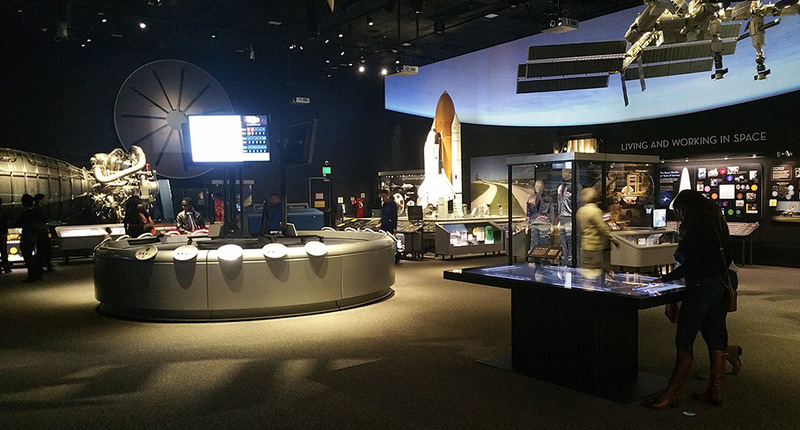 Built as an immersive cinematic experience, the command center is not operational, but rather a large-scale group simulation. The interactive software drew inspiration from science fiction sequences found in popular films such as Minority Report and Oblivion. However, unlike the effects shown in those movies, this is a real-time, usable, interactive application, not computer generated special effects. 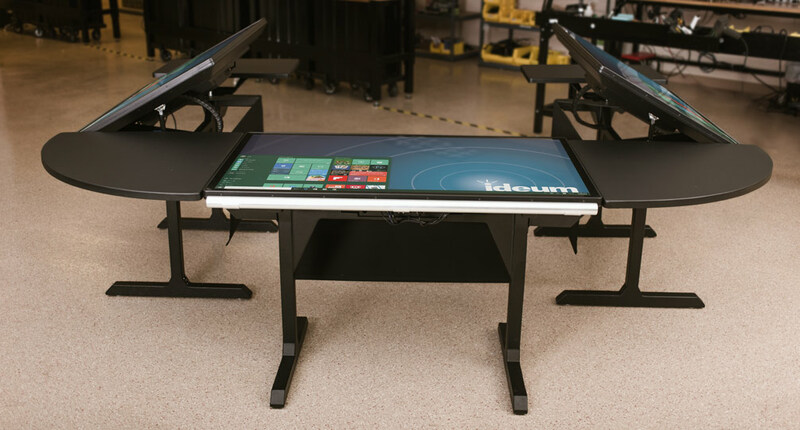 For the command center we designed and developed a prototype touch desk, tentatively named the Console. 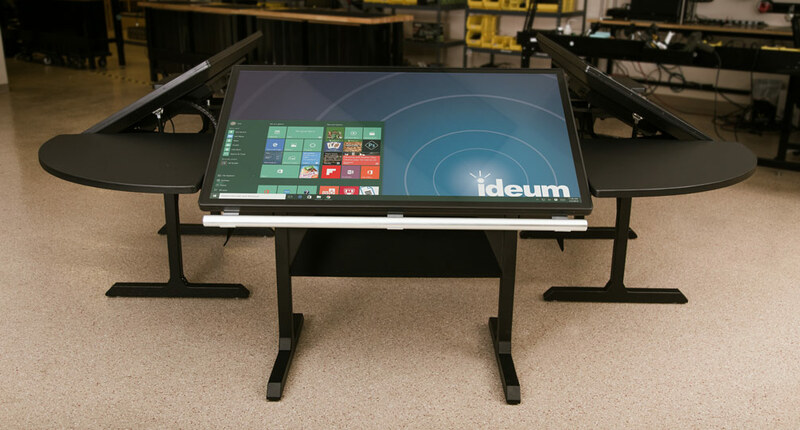 It has an Ideum 55″ 4K UHD LG commercial display with 3M touch technology mounted on a pneumatic lift system. It is built, like all of our systems, out of aircraft-grade aluminum. 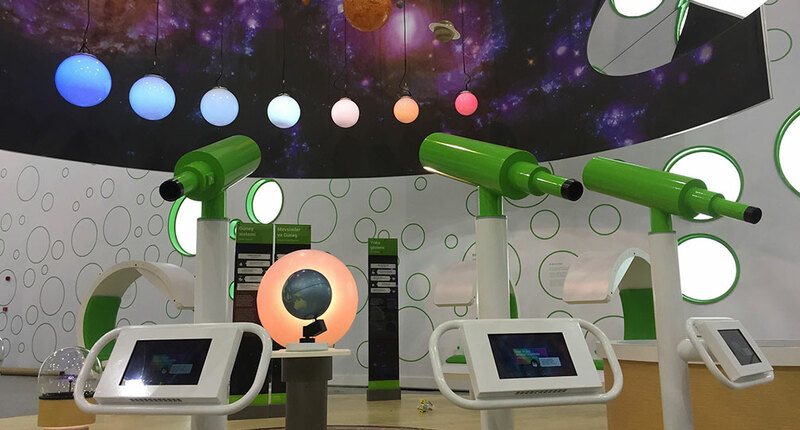 For this project, we added some custom features like the shiny cylindrical bar found at the base of the display. We also created custom end tables to allow for multiple configurations. Additional details about the Console touch table can be found on our blog. Multiple displays create a shared group experience. A pneumatic lift system makes it easy to adjust display orientation. The command center shows one configuration of the Console system.